After ballots were counted Tuesday night, the unofficial results from the General Election show City Council measure passing, County Property tax levy lid lift failing, Mary M. Knight construction bond failing, and Fire District 3 EMS levy passing. 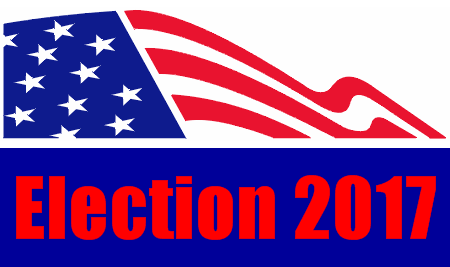 There are also close races for Shelton City Commission, Grapeview School Board and Mary M. Knight School Board. In the City of Shelton, 63.14 percent of the voters are in favor of changing the City’s form of government from a three-member commission to a seven-member council. That’s 723 voting “Yes” and 422 voting “No”. There were also 40 Under Votes, meaning 40 people chose not to vote for the proposition. For Shelton City Commissioner of Streets and Public Improvement, Kevin Dorcy has a 16-vote lead on incumbent Tracy Moore. Dorcy leads 50.57 percent (574 votes) to Moore’s 49.16 percent (558 votes). There are also three write-ins and 50 under votes. Mason County’s measure to increase the property tax levy 37 cents per thousand is failing with 67.48 percent voting against. That’s 7,488 voting “No” to 3,608 “Yes” votes with 257 deciding not to vote. In the race for Port of Allyn Commissioner District No. 2, Ted Jackson leads Houston Hamilton 999 votes to 764 votes. That’s 55.75 percent voting for Jackson and 42.63 percent voting for Hamilton with 29 write-ins and 463 under votes. The Mary M. Knight School District’s construction bond is failing with 65.18 percent voting against. That’s 161 voting “No” and 86 voting “Yes”. In the race for Director District No. 1, incumbent Leroy Valley has a two-vote lead on Jennifer Phipps. That’s 105 voting for Valley and 103 voting for Phipps with three write-ins and 41 under votes. In the race for Grapeview School Board Director Position No. 6, Timothy Gero has a 10-vote lead on Casey Breeze. That’s 333 voting for Gero and 323 voting for Breeze with six write-ins and 178 under votes. For Shelton School Board Director District No. 2, Dan Cooling has 58.01 percent of the vote to Ross Gallagher’s 41.43 percent. Cooling has 1,561 votes while Gallagher has 1,115. There are also 15 write-ins and 503 under votes. For North Mason School Board Director District No. 2, incumbent Leanna Krotzer has a 131-vote lead on Mike Sammons. Krotzer has 1,144 votes (53.04%) to Sammons’ 1,013 votes (46.96%). There are also 31 write-ins, 650 under votes and one over vote. In the Hood Canal School District, Gary Hedger leads Teddie Hamby 55.08 percent to 43.38 percent. That’s 607 voting for Hedger and 478 voting for Hamby with 17 write-ins, 457 under votes and one over vote. The Emergency Medical Services levy in Mason County Fire District No. 3 is passing 74.67 percent to 25.33 percent. That’s 513 voting “Yes” and 174 voting “No”. Albert (Buck) Wilder leads Nicholas Jones 103 votes to 80 for Fire District 12 Commission Position No. 2. Ken Weaver leads Michael Mott 248 votes to 111 votes for Fire District 18 Commissioner Position No. 1. Election officials in the Mason County Auditor’s Office counted 11,353 ballots Tuesday night making the turnout at just under 30 percent (29.57%). As many as 2,000 ballots could come in to the Auditor’s office in the next few days and there are 90 ballots currently being challenged which means there is a problem with those ballot. Possibly missing a signature or the signature doesn’t match what is on file. Officials will release more results at 2 PM Wednesday.